God is blessing! Not only do we see God working and blessing individual lives spiritually (which is why we exist) but we also continue to see God bless the means by which we get that done. 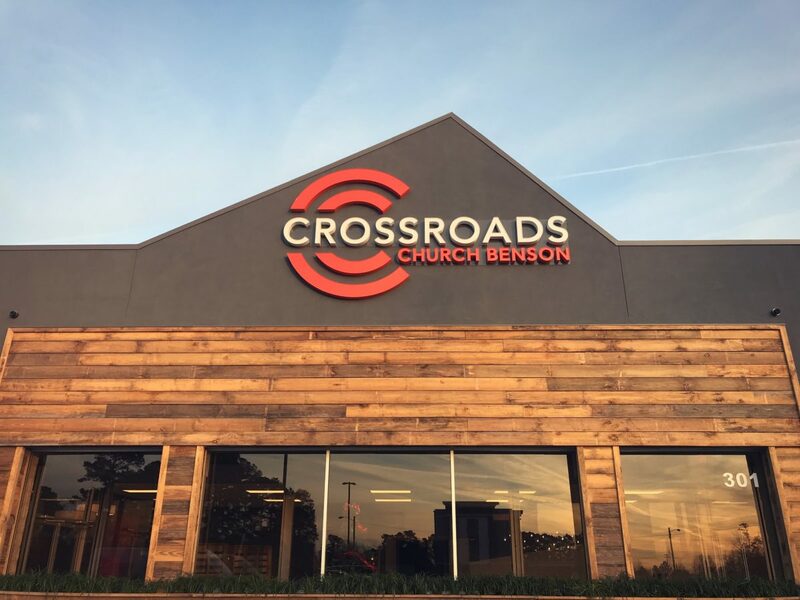 Recently, the owner of the property where Crossroads meets has offered to sell the entire property to the church at a phenomenal bargain. When I say phenomenal, what I mean is not only is it at a price that is well under what it would cost us to build what we have, but also by purchasing our monthly payment would reduce. We already receive a very low lease rate for the square footage we have but by purchasing what is in current operation at the property, our payment would actually decrease. We also now have two banks competing for our business and both are very interested in helping us make the purchase. By purchasing the entire property which is the 5 acre paved area and the entire facility, we would also be picking up an additional 20,000sqft. to add to our current 27,000sqft. for future expansion. Here again we want to TRUST GOD, TAKE RISKS, and HAVE FAITH. This motto has fueled us to be where we are now and we believe God is going to continue to use us and bless us if we are obedient and faithful in what He has entrusted us with now. Amen? So many people in our community, in our families, and in our circles are yet to be saved. We have a lot of work to do. We WILL NOT LET UP until we have done all our God has led us to do in serving them with the Gospel of Jesus. Are you on board? I believe with all my heart God is going to use us to do great things in the lives of many people and it is going to change them for eternity. We have been remarkable givers in the past and I want to ask you all to step up to the plate again and give. God is faithful and sees our hearts and when we give because we believe in His work here on earth, and especially right here in our context, He uses it to bless others and us. Be sure to get that blessing others from the right attitude of heart blesses you! We will give more details as we draw closer to this exciting time. You do not have to wait to begin being a part of this phenomenal opportunity. You can give through our regular tithes and offerings on Sunday mornings or through our online services and give a special gift that will help us continue to be used by Him for His Gospel and His glory. Tithing is what we do regularly and offerings are the special gifts we give above and beyond our tithe. You can write BUILDING FUND on your memo line or choose it on our online options. I couldn’t feel more excited about our future. God is giving you and I an opportunity to bless others with the riches of the Kingdom of Heaven while at the same time rewarding us here and in heaven ourselves. What a remarkable God we serve and what a time this is to be a part of something so much larger than we could ever imagine. I don’t want any of you to miss out! Love you guys. Sunday is coming. Get there and bring someone especially this Sunday, it’s going to be phenomenal!